Two weeks ago, the CAT-Law Navigator reviewed an Earthquake Advisory issued by the California Governor’s Office, which directed the public to prepare for an increased probability of earthquakes through October 7. The Advisory was issued following the observation of an “earthquake swarm” near Bombay Beach, California, that started on Sept. 26, 2016, beneath the Salton Sea, near the southern end of the San Andreas Fault. The U.S. Geological Survey had calculated that there was up to a 1 in 100 chance of a magnitude 7 or greater earthquake occurring on the southern San Andreas Fault through October 4 (later revised to up to a 1 in 500 chance of such an earthquake through October 7). Given those odds, it’s no surprise that a major earthquake did not in fact materialize, but the U.S.G.S. calculation and the Governor’s Advisory reminded us of The Great Southern California Shakeout Scenario, first published by the U.S.G.S. in 2008, which modeled a similar event. The goal of the 308-page 2008 Shakeout Scenario was “to identify the physical, social and economic consequences of a major earthquake in southern California and in so doing, enable the users of our results to identify what they can change now—before the earthquake—to avoid catastrophic impact after the inevitable earthquake occurs.” (Shakeout Scenario at p. 2) In service of that goal, the authors outlined the magnitude and locus of an imagined Southern California earthquake along the San Andreas Fault, and then estimated the resulting physical damage, the impact on social systems, and the actions that can still be taken to prepare for and minimize the impact of a Southern California earthquake. The authors of the Shakeout Scenario noted that although the particular earthquake scenario they modeled “may never happen . 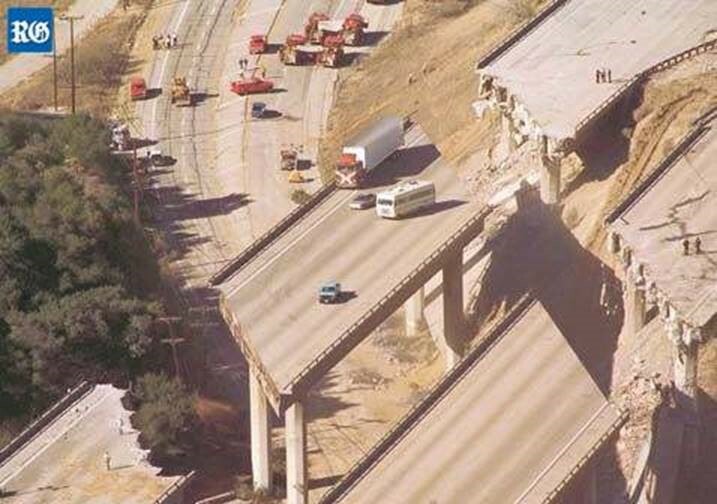 . . [b]ig earthquakes on the San Andreas Fault are inevitable, and by geologic standards extremely common, but probably will not be exactly like this one. The next very damaging earthquake could easily be on another fault. However, lessons learned from this particular event apply to many other events and could provide benefits in many possible future disasters.” In other words, the earthquake scenario the Shakeout authors imagined is not their prediction, but it provides a thorough analysis of one possible scenario, and the author’s findings have broad application for those interested in the subject. There is a wealth of information in the extensive Shakeout Scenario document, but here are some headline findings of particular interest to the insurance industry: the authors modeled a magnitude 7.8 earthquake along the southernmost 200 miles of the San Andreas Fault, from the Salton Sea to Lake Hughes (South and East of Los Angeles); the earthquake involves extensive and widespread ground shaking, surface level fault offsets of 30 feet, liquefaction of the earth and landslides in isolated areas, but no tsunami activity due to the distance of the event from the Pacific Ocean. All told, the authors anticipated 1,800 deaths and over $200 billion in economic losses (with property damage of $112.7 billion and business interruption losses of $96.2 billion). For comparison, the total amount of insured losses (in 2015 dollars) stemming from Hurricane Katrina was $49 billion, still the most expensive insurance catastrophe in U.S. history. The 9/11 Terrorist Attack involved insured losses of $24.6 billion; the 1994 Northridge, California earthquake’s insured losses were $18.6 billion. We will return to the Shakeout Scenario in subsequent posts, exploring the authors’ breakdown of the nature and scope of the event itself, the predicted damage to residential and commercial buildings, the impact on California’s infrastructure, and the broader business interruption implications. We will also consider the overall social impact and the authors’ advice for steps that can be taken now to reduce the physical and societal damage of a major earthquake along the San Andreas Fault and other California faults.